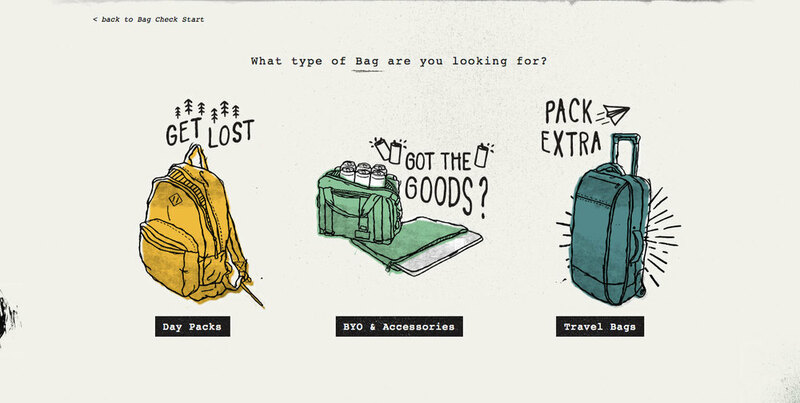 With the launch of a fresh look for the Spring/Summer season on Burton.com the Bag Check shopping tool was in need of an update. Working with the look and feel established in the printed catalog and the rest of Burton.com I created illustrations paired with playful type lockups that brought Bag Check up to speed with the new look of Burton. Matt Plays then came in and used his animation skills to bring the type lockups to life. This project was created in collaboration with Julie Toth - Sr. Designer, Matt Plays - Title Animation, and David Pfluger - Art Director. Lead image was taken by Gabe L'Heureux - Photographer.